Any beauty trend follower will be well aware that orange lipsticks are the one to have this season. I love orange lips for a pop of colour in my make-up, especially teamed with minimalist eyes; I find that gorgeous bright colours like orange compliment my eye colour so I like to use my lips to draw attention to them rather than heavy eye make-up for a polished and chic look. I have quite a few orange lipsticks in my collection, but my go-to one is undoubtably Calvin Klein's in shade Orange Too. I've only recently discovered Calvin Klein's make-up range, but I've fallen in love so quickly! This is the only lipstick from their collection I've tried, but I will definitely buy more in the future. My pet lipstick hate is drying lipstick, so naturally I'm obsessed with the moisturised and silky texture of my lips after application of this product. As you can see, not only is the colour bold, bright and beautiful (just how all lipsticks should be! ), it also has a gorgeous glossy shine to it which I found lasts a perfect amount of time. I'm over the moon to be equipped with my dream orange lippy for summer, have you got yours? Holyyyy Moly. This is incredible. I'm a sucker for the more orange shades of lipsticks and this little beauty is going straight on my 'need' pile. I am in love. Your lips and photography are just beautiful. This is absolutely gorgeous! My go-to orange is Urban Decay's Punch Drunk, but this one here looks like a total winner as well! I LOVE this! I am going to have to buy it right now. I love orangey shades for lipsticks, I have a couple but this looks stunning! Beautiful! I loooove orange lips. I've never tried any CK makeup products but maybe not I will! Thanks for sending me your link! Wow this colour is lush, I've never tired a Calvin klein lipstick before! Such a pretty orange lip color! I've been hiding away from the trend, but this looks like a color that could potentially be wearable for me! This looks like a perfect lipstick for summer! I'm still after an orange lipstick so I will have to take a look at this one, though I'm not too sure where I can get Calvin Klein makeup from in my area! This shade is absolutely gorgeous! I need to track this down! 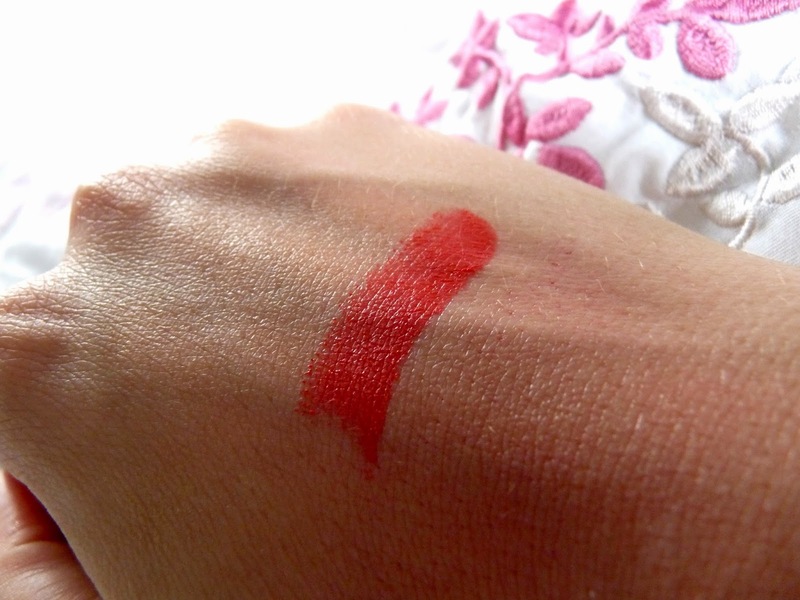 This is a really gorgeous shade, and looks great and moisturising on your lips! I need to go on the hunt for an orange-toned lippie of my own for the summer! :) Great post! Its nice article im using this type of lipstick so nice thanks to sharing .nebosh igc course in chennai|diploma in fire and safety courses in chennai|Iosh course in chennai keep it post.